Sunny Sangha was born and raised in Surrey, BC. As a child growing up, Sunny was always fascinated with his evolving community and still remembers the day Surrey was declared a city. He studied Electrical and Computer Engineering at BCIT and graduated in 2004. His career in engineering was short lived as he chose to pursue his true passion, Real Estate. He got his Real Estate license in 2005 and he never looked back. Sunny has achieved multiple high level sales awards over the past decade and has been a top producing realtor since 2011. 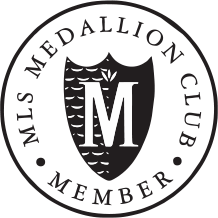 After only 5 years in the industry Sunny entered the Fraser Valley Medallion club, awarded to the top 10% of all realtors in the board and has consistently qualified every year since. During his early career in real estate Sunny had an opportunity to work on a number of high rise marketing projects. He helped launch presales for new condominiums and excelled in sales. Through his career as a Realtor, Sunny has entered into the development field. He has completed numerous projects from beginning to end, which consisted of land assembly, land development, home construction and finally doing what he does best, selling homes, fast and for top dollar. Through his experience in the field Sunny has gained an edge to value quality real estate. Over the past few years Sunny has been preparing for his next dream, selling Luxury Homes. 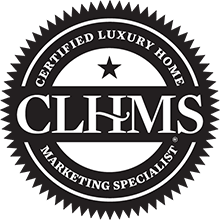 Sunny enrolled at the Institute for Luxury Home Marketing in 2012 and worked towards getting his designation which he achieved in 2016. One thing has remained constant during Sunny’s progressive career, his loyalty and dedication to his clients. His business is built on strong relationships which is evident through his referrals and repeat clientele. Aside from his professional life, Sunny is a loving husband and caring father. Sunny believes in maintaining safe communities where his kids and future generations can continue to enjoy this beautiful city. "Sunny and Ram for helping us find our first home! It was such an important time in our lives and we couldn't have asked for anyone better to represent our needs. You were so helpful and any questions we had were answered right away. It was one of the biggest decisions we had to make but you made it easy. " "Sunny went above and beyond to get our house sold in under a week and for top dollar. He made selling our home a pleasant and seamless experience. He provided us with great customer service and is easy to work with. I would highly recommend him to anyone looking to buy or sell their house." "Excellent Realtor. 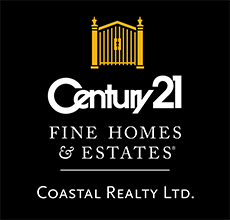 Top choice for Surrey real estate market." Sunny and Ram for helping us find our first home! It was such an important time in our lives and we couldn't have asked for anyone better to represent our needs. You were so helpful and any questions we had were answered right away. It was one of the biggest decisions we had to make but you made it easy. Sunny went above and beyond to get our house sold in under a week and for top dollar. He made selling our home a pleasant and seamless experience. He provided us with great customer service and is easy to work with. I would highly recommend him to anyone looking to buy or sell their house. Excellent Realtor. Top choice for Surrey real estate market.